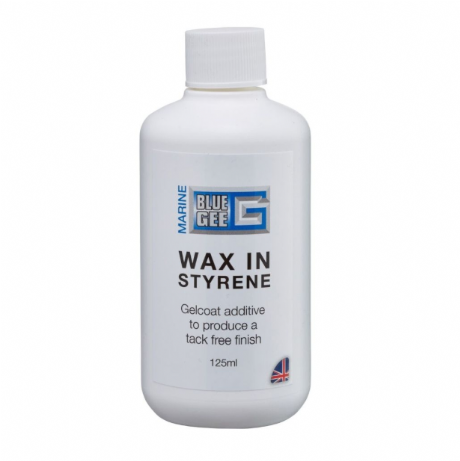 Blue Gee Wax in Styrene Gelcoat Additive. Produces a tack free finish. 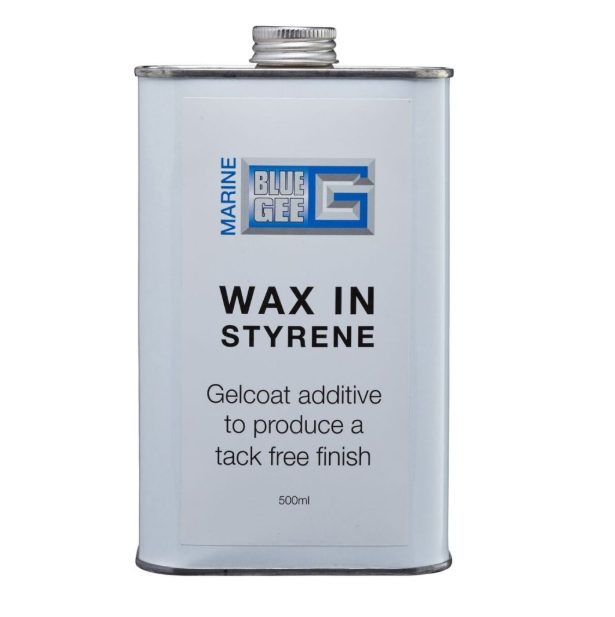 Add to gelcoat at 2% when the gelcoat is to be used as a finishing coat similar to paint. Available in 125ml and 500ml sizes.